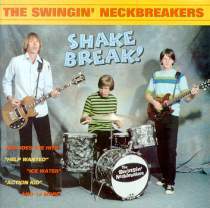 Shake Break!, the Swingin' Neckbreakers' second lp, was unleashed on an eager public in September of 1995. 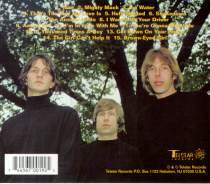 The album features powerful originals like "Wait" and "The Answer Is No"; "Action Kid" offers a poppier approach to the Neckbreakers' sound. 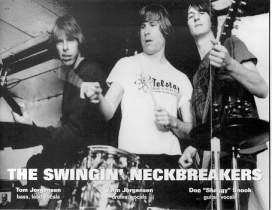 The band continues to choose cover material from diverse sources: garage rock is represented by "That's The Way My Love Is" (The Trolls), among others, while one of the Neckbreakers' most popular live numbers, Glen Barber's "Ice Water," began life as a western swing tune. 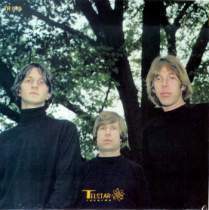 The trio also pays tribute to Rock 'n' Roll icons Chuck Berry, Little Richard, and Bobby Fuller. Order it here!